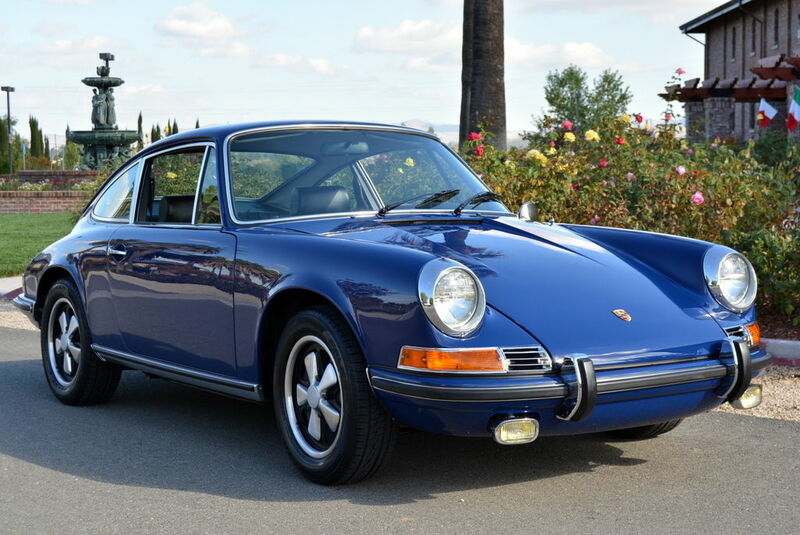 Buy Classic Volks – Here we found beautiful classic Porsche on blue, this a 911E series production in 1970, assembly in Stuttgart-Zuffenhausen, West Germany. He has rare factory color “Albert Blue 18”. Numbers-matching running gear, 68,964 low original miles, 100% solid California car, Original floors zero rust, Numbers matching engine, Low original miles, Rare factory color, Bare-metal repaint, All new rubbers and seals, Superb interior. We are a licensed California dealer: California retail buyers will be responsible for tax and license fees. Overseas buyers are welcome: We work closely with a local overseas shipper in San Leandro, California, who offers competitive rates. This entry was posted in 1970, 911, For Sale, Porsche, USA and tagged Porsche 911 on December 4, 2014 by buyclass.